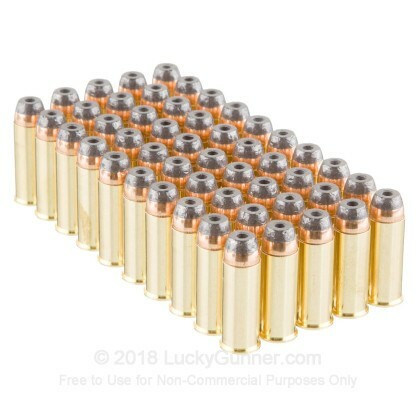 These .44 Special rounds are perfect for light-recoiling performance when fired from revolvers and lever-guns chambered in .44 Magnum! 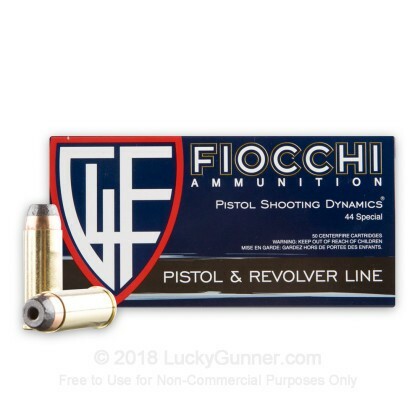 Fiocchi, an Italian company, manufactures these cartridges using quality components including reloadable brass casings, clean-sparking Boxer primers, and precisely shaped semi-jacketed hollow-point (SJHP) projectiles. This particular SJHP style has a rounded ogive for smooth loading into a side-gate or cylinder and a wide mouth which makes it safe for use in tubular magazines. 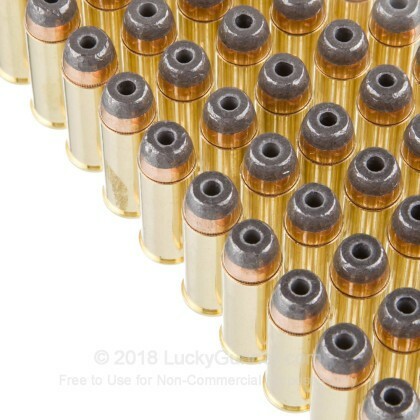 Each bullet has a toothed cannelure at its crimp point which prevents setback and jostling that could mar reliability and accuracy. 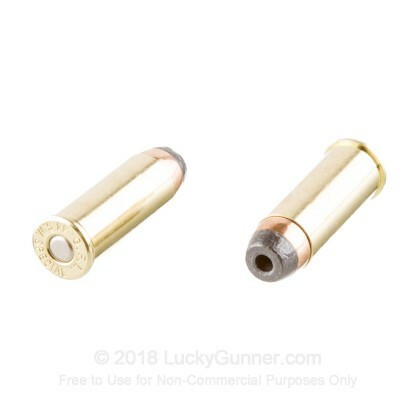 The 200-grain projectile weight is common for both .44 calibers and is loaded to produce a manageable impulse with every trigger pull. Upon impact with a target, the SJHP is designed to begin expanding which causes the bullet to yaw and come to a stop within vital zones. This cuts down on the risk of over-penetration and delivers appropriate momentum to vital zones in order to bring down a threat or varmint animal with ease. The majority of Fiocchi’s U.S. sold ammunition is made at their Missouri plant and backed by over 140 years of experience. 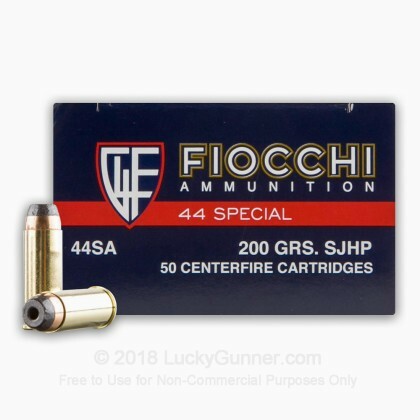 We don't have any reviews yet for this particular .44 Special ammo from Fiocchi. 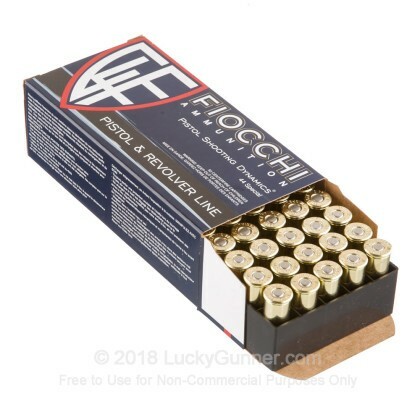 If you'd like to be the first to review this particular .44 Special ammo from Fiocchi, fill out the form below.